Kara’s life as a teen. The Fields family goes to Egypt and comes home to a robbery. Kara and her family move back to Twinbrook to take over the family farm. 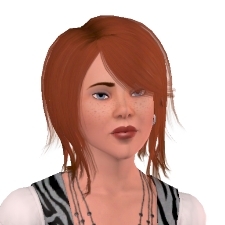 Kara attends the Institut d’Art in Champs Les Sims. Kara returns from France and meets Paul and his new band mates at Euji’s. Kara has a one-track mind, but she gets more than she bargained for. Kara and Shawn get married and have kids. Kara reflects on her life and family.